Hopefully you did not get fooled by any online pranks or mischievous fake ads yesterday as parts of Europe and the U.S. celebrated April Fools' Day. One mischievous man I grew up watching was Kramer in the NBC show about nothing, Seinfeld (1989-1998). There were dozens of classic episodes in this series that ran for almost 10 years and captivated millions. 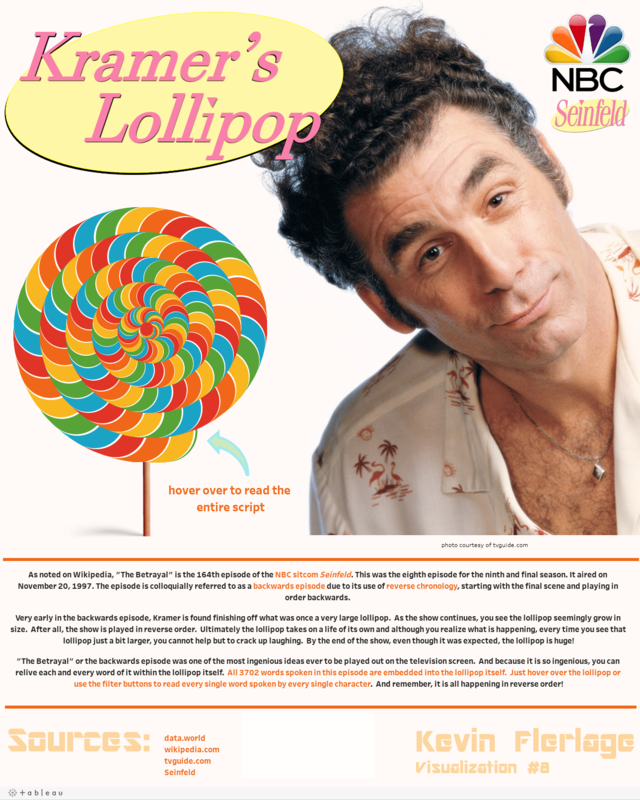 One of the greatest episodes created, as noted in kevin flerlage's Viz "Kramer's Lollipop", explores this infamous episode. Open the Viz in a browser to hear that classic Seinfeld opening song play as you explore this data! + If you are already in Project Maestro beata join the Community Group. This is open and welcome to the public! 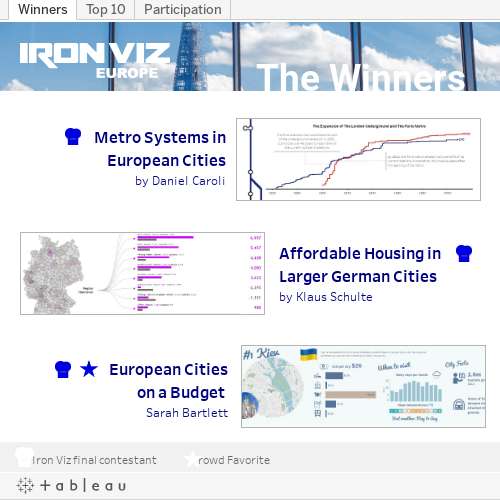 + Noticed something new in the Tableau Community? We have updated some of our navigation and renamed some sections to make the site more intuitive and user friendly. A few of the updates have been summarized below by Patrick Van Der Hyde. + We have three community members that have all hit major milestones this week with the "Help one, help all" badge. This badge is a earned after all replies by a user achieve One Hundred "This Helped Me" clicks by members of the community. Please congratulate Ritesh Bisht and Zach Leber for their spectacular achievement! + This week or most talked about thread with 23 replies about creating a dual axis chart that displays the previous years average for the same month that is currently being viewed, Help Needed: Same Month Previous Year Calculation, was posted on March 28th, by Anthony Griffiths at 3:05AM and had a correct answer b 4:42AM, just over a hour and a half! The correct answer was posted by chowdary v and we thank you for your assistance! 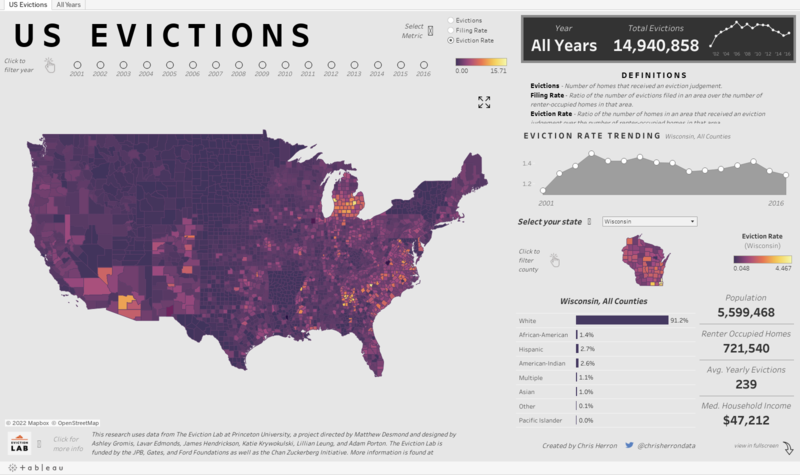 + Our top voted idea was created by Chris Reavis and details information on adding support for SSL connections to the Tableau to Greenplum data source connection.